Molly is a track coach at a private school, but her dream is to teach football. When the position as football coach opens and she applies, the men in the school committee laugh at her and the women don’t understand her decision. Driven by her best friend and two daughters she decides to teach football at a Central High School, the nightmare of most teachers. The very rude and crude crowd of guys is giving her more than just a hard time to prove that she is the right coach for them. 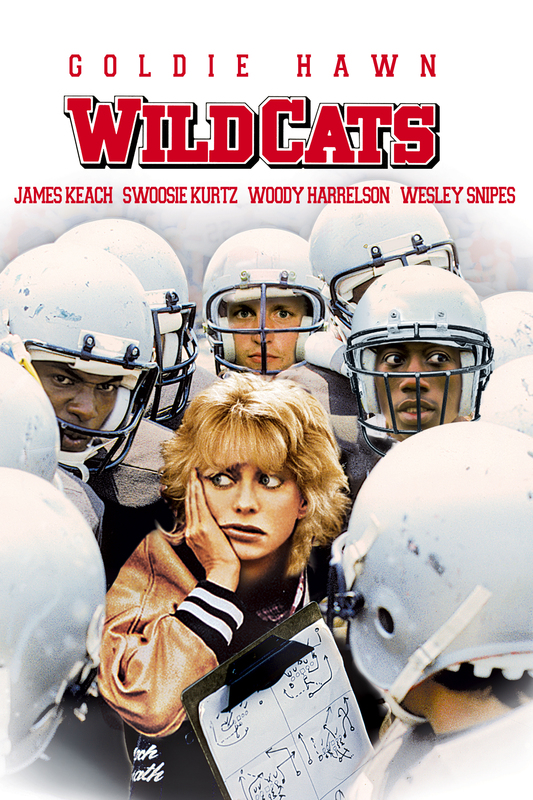 If Goldie Hawn, Sandra Bullock or Melissa McCarthy release a comedy movie you can usually expect it to be hilarious, so it is not a surprise that Wildcats is exactly that. One could say that it is from Goldie Hawn’s golden years. As usual she is very committed to her character, which is a woman who wants to break out from her save little world and emancipate herself. Wesley Snipes and Woody Harrelson had their movie debut in Wildcats and even Loretta Devine and LL Cool J had very small parts in the movie. I don’t even think Loretta got credit for the girl with the umbrella. But anyway, we have a great cast, smooth soundtrack, refreshing storyline without too many surprises, just fun and entertainment through and through; a great representation of the 80’s. I am sure whoever watches it will have a good time. 31 Days of Halloween: Day 7: A Nightmare on Elm Street (1984) – One, Two, Freddy’s Coming For you!